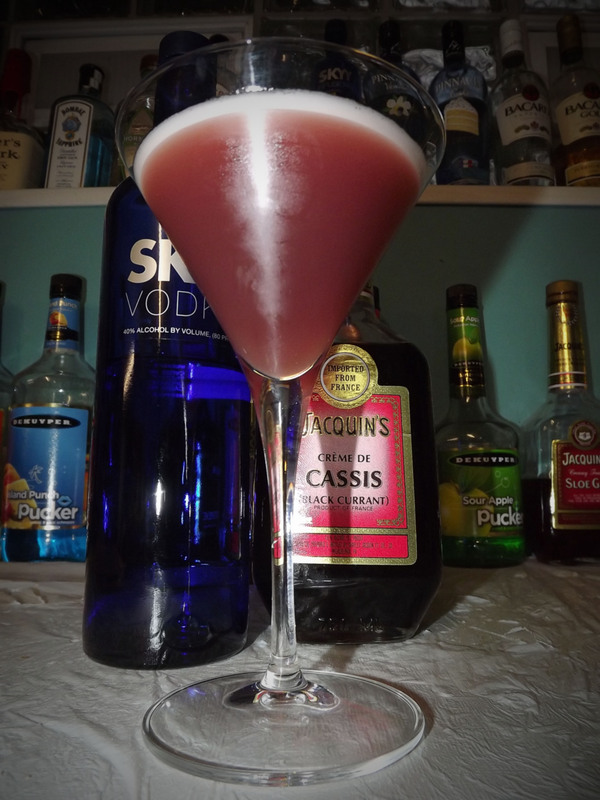 Coming in pretty late this evening with the “Ballet Russe.” A Vodka and Creme de Cassis based cocktail with a sour tart flavor and a dark and mysterious color. 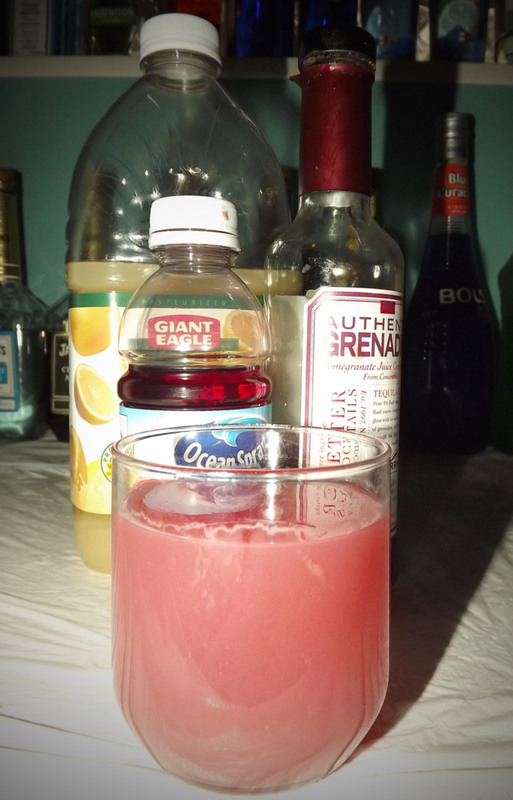 The citrus juices create a foam when shaken that decorates the top of the drink, and smells slightly of sweet/sour mix. A tart berry taste quickly moves to a sour and bitter finish as the taste of black currents rolls through your palette. Very few drinks I’ve found use any more than 1/2 an ounce of the stuff, but the citrus juices and syrup round this drink out well. I believe this drink could easily be remixed with other flavors such as raspberry, mint, or coconut (rum). So today I’ve got the first original cocktail in awhile. I have been working on a few recipes, but this one came to mind pretty quickly after grabbing a bottle of Parrot Bay Pineapple Rum (which is easily one of my new favorite ingredients). 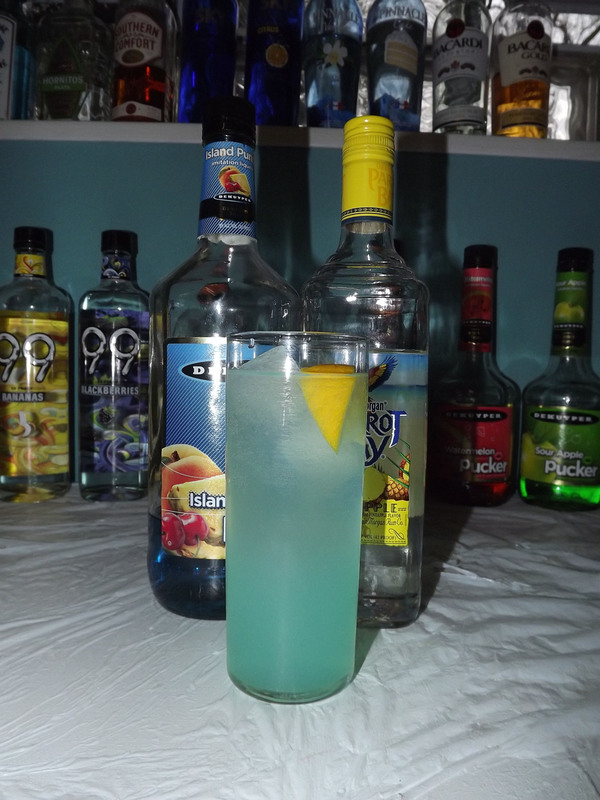 Additionally it features white cake vodka, which as any mixologist knows, is a tough ingredient to work into drinks. 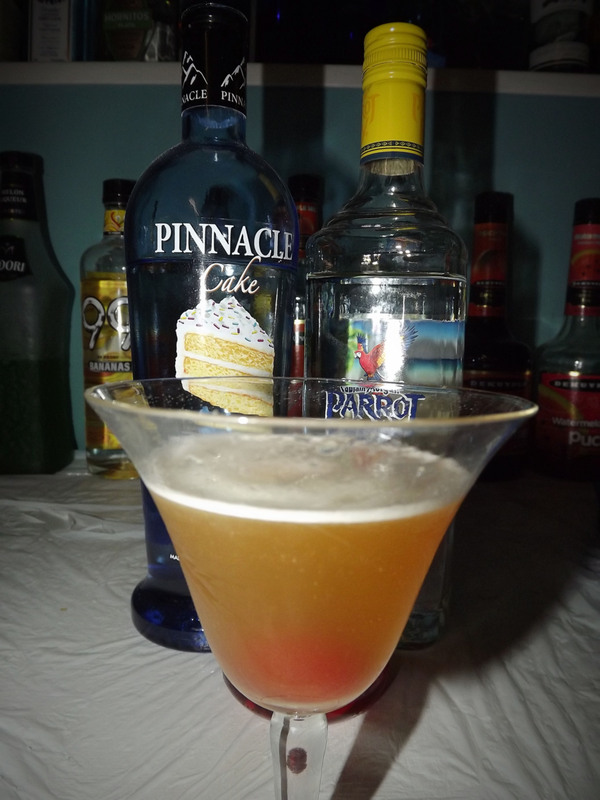 My new drink the “Pineapple Upside-Down Cake” is modeled after the cake itself, and takes the aroma of pineapple juice. The drink starts with a glorious pineapple and pineapple rum taste. The smooth taste works down to a harder “cake” taste, but not overpowering on the cake side. Hard enough to make you think alcohol, but smooth enough to make you think dessert (without the use of cream). Make it Again? Yes, add to the menu! Shake and Strain into a small cocktail or cordial glass. Garnish with a single cherry. Let them eat pineapple cake! Today I bring you the first original drink in quite awhile. This is my first Mocktail creation for the morning mixologist. 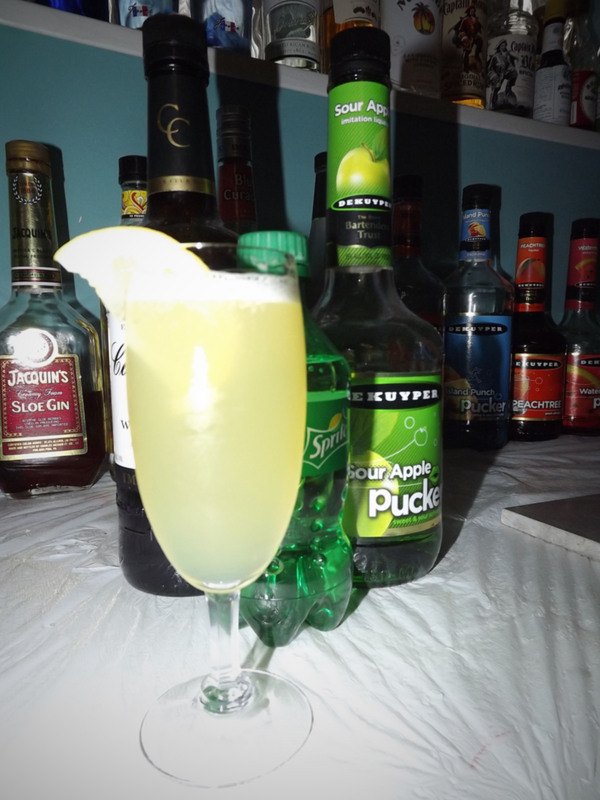 The jealousy is a drink unlike anything I’ve made thus far. 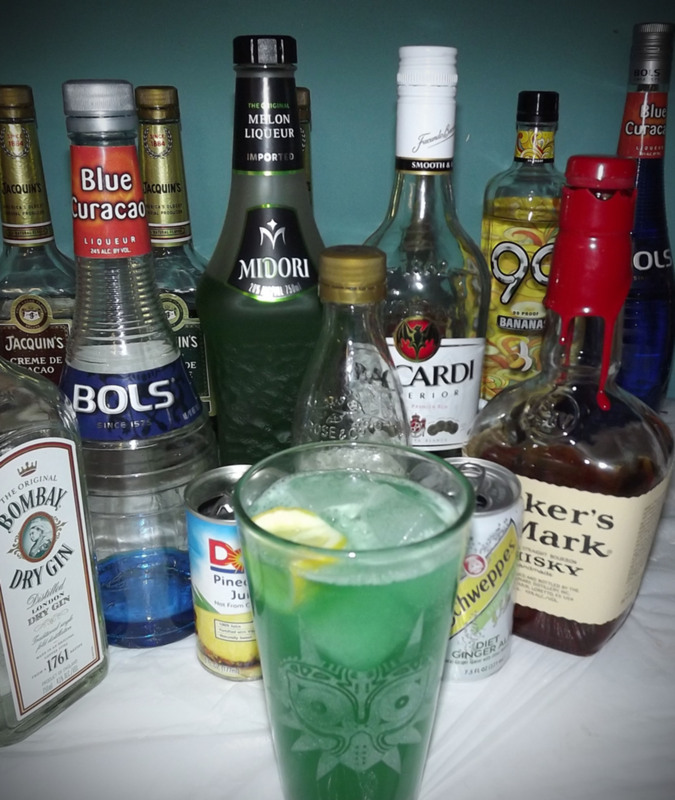 Confusing in its taste, powerful in its components, and a great mystery drink all around. 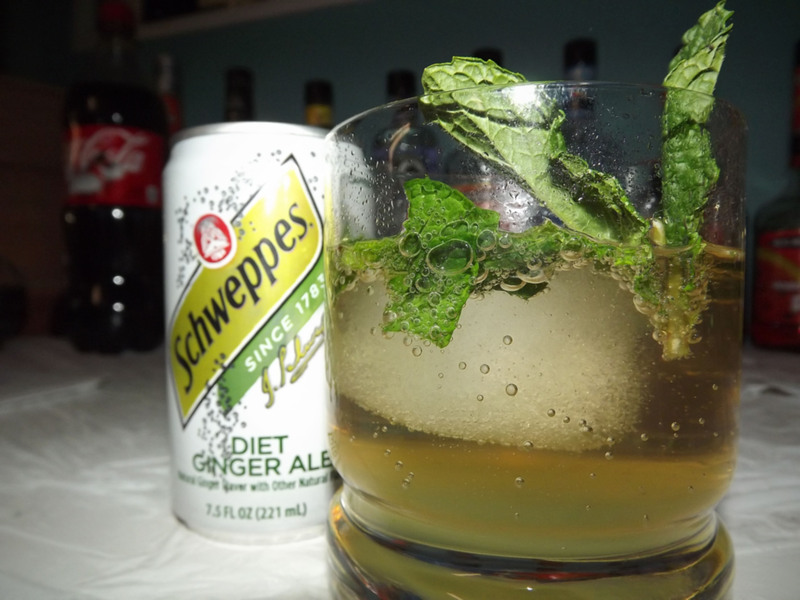 Shake and strain all but ginger ale into an iced pint. Squeeze lemon wedge over drink and drop it in. It tastes like what now?